Anne Jolley Thomas’ connections span the entire state of Florida, and wherever she goes, she’s bound to know someone. 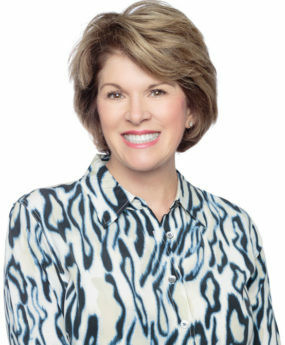 Couple this with a life-long sphere of business and personal contacts right here in Tallahassee and North Florida, Anne Jolley has excellent odds of connecting buyers with sellers. Born and raised in neighboring Gadsden County into a political family, Anne Jolley grew up tirelessly campaigning and canvassing neighborhoods with her father, so meeting people is natural for her. Parlaying her relationships into sales is only part of what gives Anne Jolley a competitive edge in the residential market. High energy, integrity, combined with strong intuition allows Anne Jolley to work diligently to ensure that only happy buyers and sellers leave the closing table. Anne Jolley graduated from Huntingdon College in Montgomery, Alabama and is the proud mother of one son, Corbett Proctor and his wife, Sara Noel, and has a golden doodle named Honey and a shih tzu named Chewy!